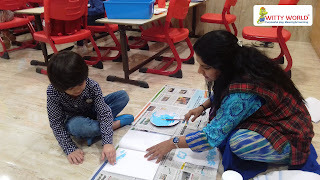 Blue is my favourite colour all the time. 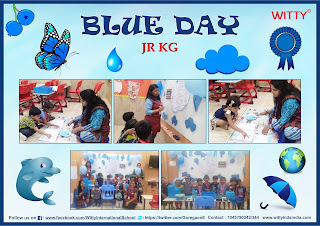 Blue – the colour of loyalty, strength, wisdom and trust had a very positive impact on our little learners bringing in harmony and brotherhood. 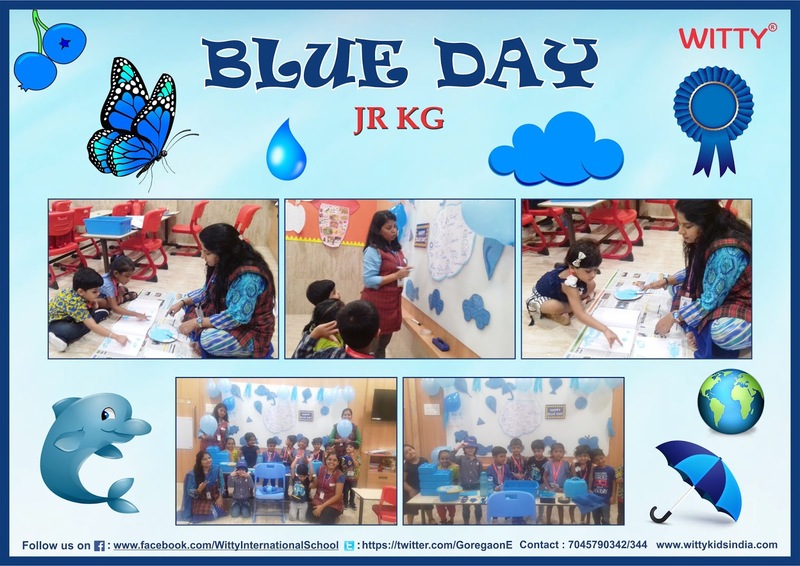 It is the only colour which maintains its own character in all its tones it will always stay blue. 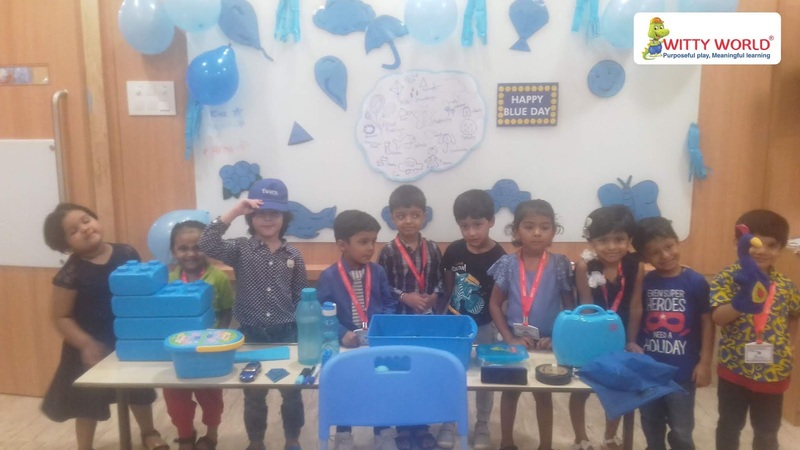 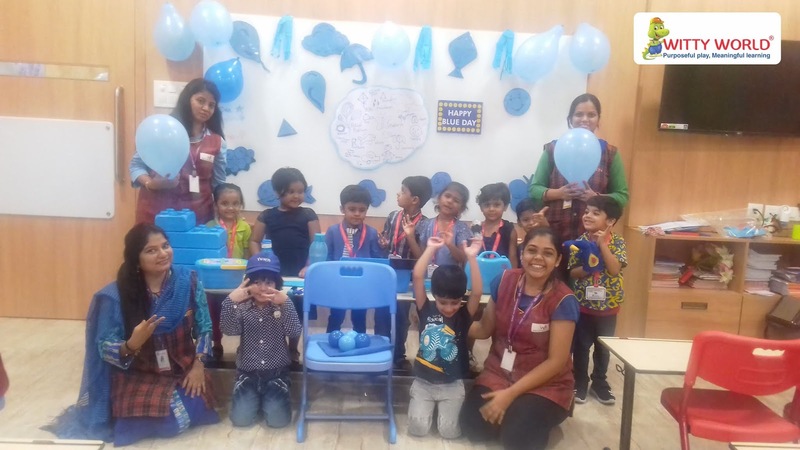 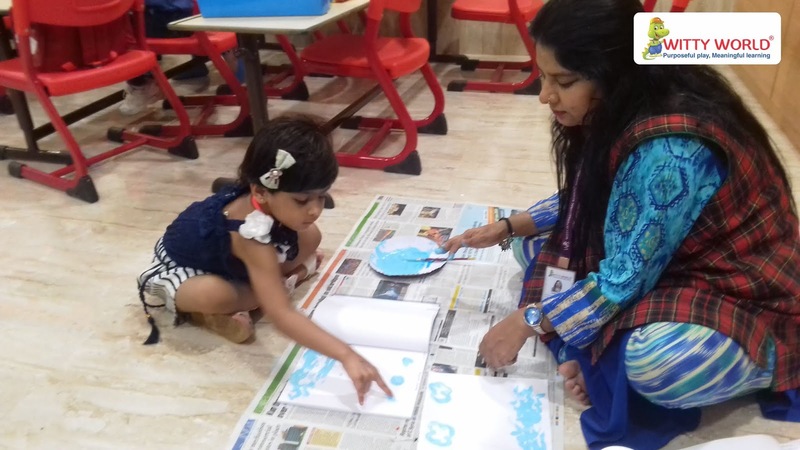 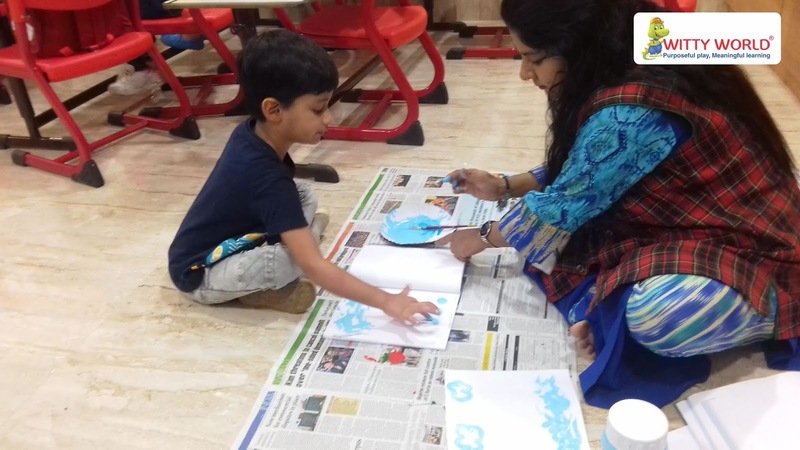 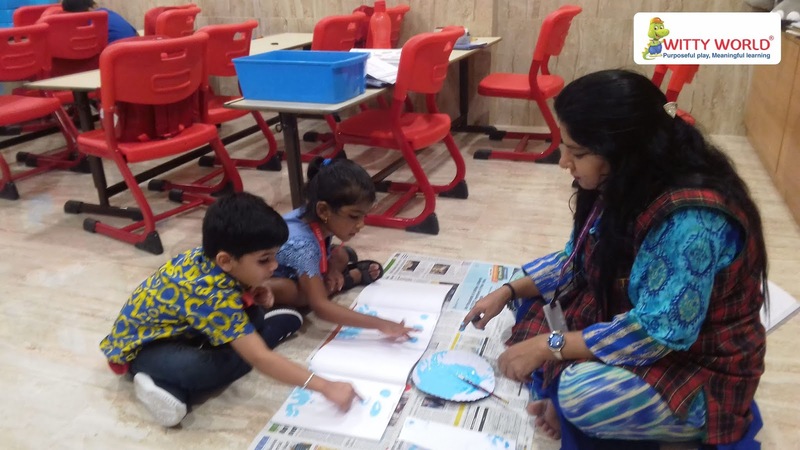 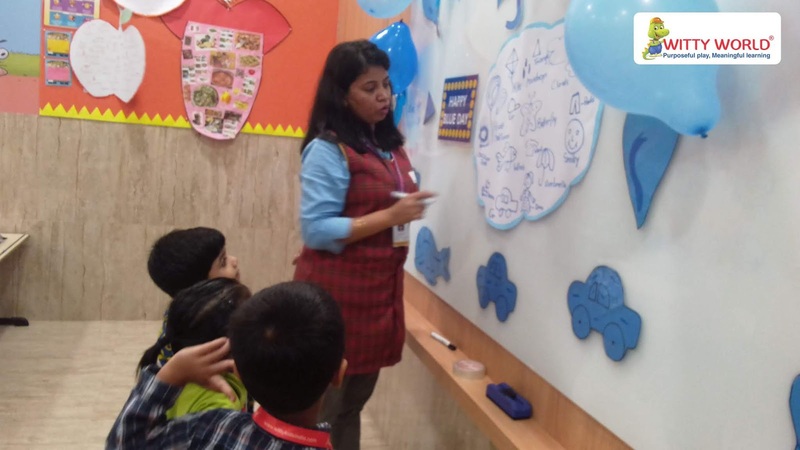 We at Witty World, Goregaon East celebrated Blue day on Monday, 6th August, 2018 emphasizing the importance of the blue colour. 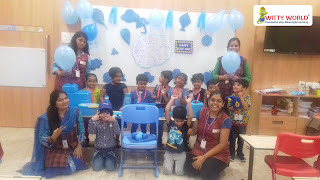 Clad in blue dresses, children recognized blue colour through different games and play-way activities. An array of blue coloured objects like umbrella, ball, cloud, flowers etc. were on display thus providing the students opportunities to have a clear sense of the colour and its importance. Early identification of colours help to create the cognitive link between visual clues and words which is an important part of a child’s development.